Neem tea is an Indian healing infusion that has been used for ages by traditional Ayurveda medicine to treat various ailments. Considered a cure-all, this infusion is often recommended to build up your defenses as much as to treat diseases. Neem, azadirachta indica in Latin, is an evergreen tree native to India, Pakistan and Bangladesh. Neem actually stands for "reliever of sickness" in Sanskrit, while in English it may also be known as "Indian lilac", whereas in Portuguese it is commonly called "margosa", referring to its bitter nature. This tree grows in tropical and semi-tropical regions in the world and can reach a height of about 15-20 meters (about 50-65 feet), but sometimes it can grow even higher. Neem leaves are green and long, 20-40cm, while the flowers are small, no bigger than 5-6mm, white and quite fragrant. At 3 to 5 years of age, the tree begins to bear fruit. Its fruits are yellowish in color and shaped much like and olive with a thin skin and a fibrous pulp. Neem leaves are used to make a healing tea that has been used in Ayurveda medicine for centuries for its antibacterial, antifungal and other medicinal properties. 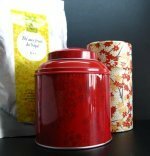 Sometimes, tea may be made also using the bark, flowers and other parts of the tree. Neem is still valued for its medicinal properties, having made its way into the world of cosmetics as a base for soap, shampoo, balms and creams. It is also used as a natural germicide and pesticide, helping to ward off pests and insects. In India, neem leaves are made into garlands for certain festivals and in some villages neem's coarse fiber may be made into rope. In some countries of Southeast Asia, neem will be cooked and eaten despite its bitter flavor due to the health benefits that it may provide. Neem is a great source of protein, tannins, calcium, phosphorus, vitamin C and several fatty acids. It also contains quercetin, a component known for its antioxidant, anti-inflammatory and anti-bacterial properties, which may account for a number of the many benefits this tea may offer you. Neem tea is first and foremost a healing tea that may help to boost the immune system. It is antibacterial, antiviral and antifungal, aiding in both preventing and treating various illnesses. By strengthening your defenses, this tea may be used to treat respiratory ailments such as asthma, colds, coughs or simple allergies. Tea made from the bark of the neem tree may help control phlegm and bring down a fever. It is even said to be a good method for treating pneumonia. Its anti-inflammatory and analgesic properties are helpful when dealing with arthritis as it may help clear the infection as well as soothe the pain associated with this disease. Drinking this tea may also help to heal several forms of infection, fungal or yeast in nature. It is a tonic that may be used to treat urinary tract disorders, helping to soothe kidney, prostate and bladder problems. Neem tea may be used to help treat heart disease by helping to bring hypertension under control. At the same time it is said to help purify and cleanse the blood, improving liver function and preventing heart cardiovascular problems. Taking this herbal tea may help reduce blood sugar levels, which may be helpful for those undergoing treatment for diabetes. Of course, if you are taking medication for this disease, do not drink neem herbal tea without the authorization of your doctor. Over time, neem tea may have been used as a form of treatment for malaria or similar diseases. The ratio of neem leaves per cup of water usually suggested for this treatment is high. Due to the possible side effects, it is not recommended that you try this without the advice of your doctor. Neem tea may also have a healing action in your digestive tract. By ridding the stomach and intestines of bacteria and viruses, this tea may treat a number of related ailments, relieving nausea and discomfort. A cup of this tea may soothe an upset stomach, reducing bile production, treating and preventing indigestion as well as bringing down a swelling stomach. As a result, it may even help you recover when you experience loss of appetite. At the intestinal level, neem herbal tea may help fight constipation ad swelling. It may rid your body of intestinal worms, kill off harmful bacteria, and treat intestinal ulcers. This infusion may solve some digestive problems just by helping to keep your mouth healthy. Neem helps to keep your gums safe from disease, preventing the formation of plaque in the mouth, fighting cavities and bad breath. Neem leaf tea may play as a contraceptive treatment, used as a form of birth control. However, it may not only be used to prevent pregnancy, but it may also bring about an abortion. Using any home remedy to terminate a pregnancy may be quite dangerous, so please never do this without the supervision of your doctor. You may risk suffering internal hemorrhaging and need to be rushed to a hospital. A neem infusion may be applied topically to treat a number of skin issues. As the leaves show antibacterial and antiviral properties, it may be helpful as cosmetic and skin treatment. Applying this infusion may help to speed the healing of wounds, with its antiseptic property clearing away the source of possible disease or skin ulcers. Neem may be considered antiviral and it is said to help heal and relieve the pain caused by herpes and warts. Neem tea may even act as an insect or parasite repellent and it may be used to clear away head lice, just take soak in this healing remedy. And it is said that it may soften your skin. Have a cup of a healing tea! Although there are a great number of potential health benefits to drinking neem herbal tea, you should be aware of some of its side effects or situations in which it is best to avoid this herb. As more studies still need to be performed, you should only drink this tea under medical supervision. Drinking too much neem tea or for a long period of time could cause damage to liver and kidneys, including jaundice and trouble urinating. So it is best to always stay within the dosage recommended by your doctor. If you have a history of liver or kidney problems, then do not take this at all. Other symptoms that could be caused by either an allergic reaction to this herb or simply ingesting too much may be difficulty breathing, rashes, itching, throat or mouth swelling, headaches, insomnia, vomiting, irregular heartbeat and diarrhea. Stop using this tea and seek medical help. Neem tea may bring down blood sugar levels, so if you have diabetes, be sure to monitor your sugar levels. You may even need to change your medication, so keep your doctor informed. Symptoms of sudden drops in sugar are dizziness, headaches or even unconsciousness. Although neem tea is often recommended for stomach and intestinal problems, not everyone reacts well to the chemical components in this herbal infusion. Therefore if you start vomiting or experiencing diarrhea or dehydration, then it is best to find an alternative form of treatment. Neem infusions are not safe for infants or young children. Ingesting neem oil in the leaves may cause serious side effects, such as vomiting, diarrhea, dizziness, headaches, even seizures, coma and brain disorders, due to too much pressure on the brain. Do not drink this tea while pregnant as it may cause a miscarriage. 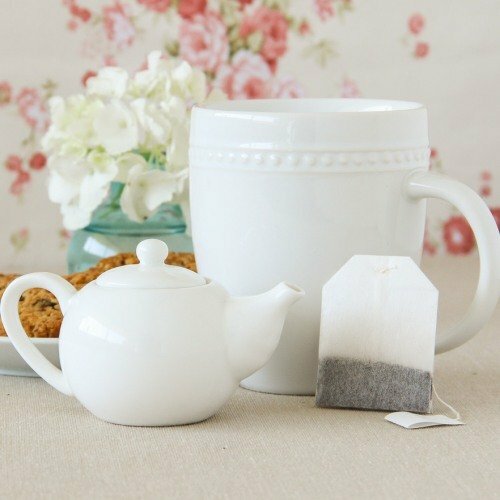 If you are breastfeeding, this tea is not safe for you, some of its components may pass through your breastmilk and cause serious harm to your baby. Neem has a reputation for being used as a contraceptive, so if you are trying to get pregnant, do not use this tea as it may bring reduce fertility, for example, by killing sperm. This herb may boost the immune system and therefore counteract the effect of medication for auto-immune diseases such as multiple sclerosis, lupus or other similar conditions. Avoid neem tea if you are on these medications. If you are undergoing surgery, then do not drink this tea, as it may affect your blood sugar levels. Also if your surgery is for an organ transplant, then do not take this tea after as it may cause organ rejection. As neem tea is considered a diuretic, it is best not to drink it if you are taking lithium. Neem is said to affect the way your body eliminates lithium, causing serious potential damage. Some people have been known to suffer increased fatigue when drinking this tea, so if you suffer from chronic fatigue, it is best to avoid this tea and seek advice about an alternative remedy that is best suited for you. It is time to learn how to make neem tea and have a sip of this healing tea. 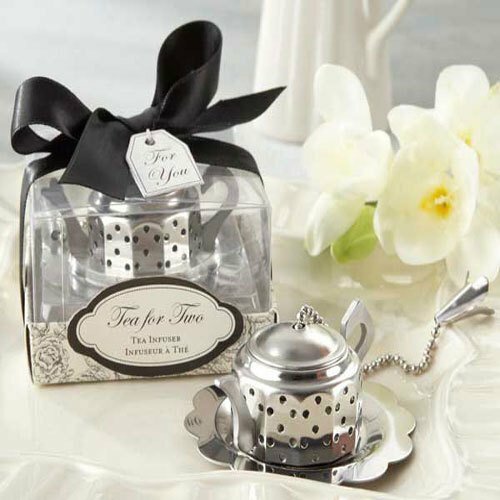 There may be several ways of making this tea, depending on what you are using this infusion for. So please consider this one of the possible ways of brewing neem tea. To make this infusion you may use the leaves, powdered or simply cut. Leaves may be used either dried or fresh. Neem leaves may be used whole or crushed. Place about quarter of a cup of leaves per cup of water (250ml) in your teapot and then fill it with the boiling water. If you are using powdered neem, it may be about 1 tablespoon of powder for a cup of boiling water. Let the infusion steep about 5 minutes and then strain. You may sweeten the tea with sugar as it has a bitter taste. As an alternative consider adding honey and/or lemon. Stay within the recommended dosage, which is about 2 cups per day and since this is just one way of making this tea, make sure to ask for a recommended dosage or recipe from your doctor or nutritionist when taking this tea. Buy Your Neem Tea Today! Click on the image or on the link below to purchase from Starwest Botanicals your Neem leaves. 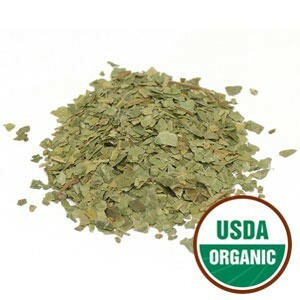 These organic leaves make a healing cup of tea that may be bitter but is considered very helpful. Buy your Neem tea now! Neem tea is an ancient Ayurveda remedy full of healing potential, so speak to your doctor about taking this alternative remedy. This may be the right herbal tea for you!